Few days back we welcomed a furry new member of the family. His name is Mad Max-Maximillian but we call him simply Max. 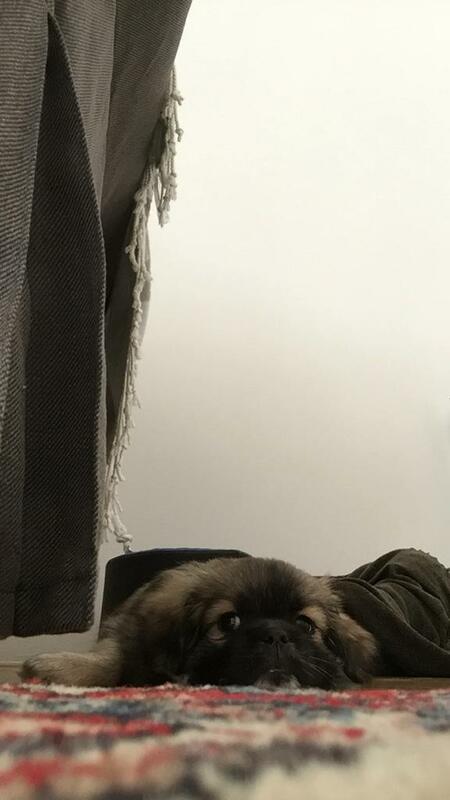 He is a 9 weeks old Tibetan Spaniel and quite a funny little boy. With him a new era of our family life started. Neither me nor my husband ever considered having a pet because our lifestyle would not suit a pet´s needs… and a pet´s need would not have suited us. We travelled extensively and we enjoyed the freedom to decide almost everything last minute and change our plans without much notice. Being a childfree couple, Max is till now, the nearest thing to parenthood my husband and I ever experienced. So it is a BIG change for us as much as it is for him. This got me thinking about changes and comfort zones. While adjusting to live together all of us are going through a life change and daily stepping out our comfort zone. To me, being responsible for another living been who depends on me is a real big change and despite the fears and doubts I have to admit, I really enjoy the experience and the learning that comes with it. It´s a challenge but I get so much love and joy in return! For him the challenge is even bigger: till the day we took him home with us, all he had seen was his mother and brothers, and a cosy garden in the greens of southern Czech Republic. He came to a flat in the city centre and the first day was very traumatic. He was scared of every sound and hardly moved from his spot under the sofa. That was his new comfort zone where he felt safe. Slowly daily he began to walk around, being scared to even go across the room initially. In less than two weeks he is now happily walking around the living room, stepping into the elevator, not crying at the sound of the vacuum cleaner. I take him to the park nearby and daily he walks few meters more chasing birds and getting cuddles from children. Seeing him running happily chasing a bee made me really thinking that magic does happen out of our comfort zone!